The girls in my family are doing a mason jar gift exchange this year and I thought that was a fun idea and that I could share it with all of you! 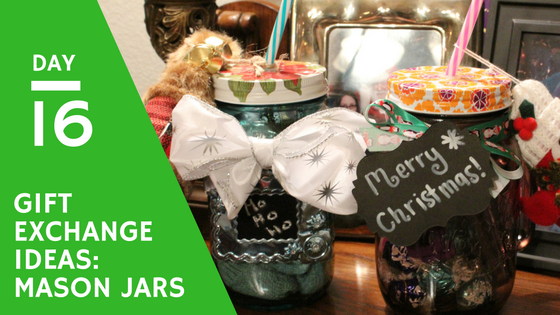 So you are going to need a mason jar, candy, ribbon, and other things to fill the jar with. 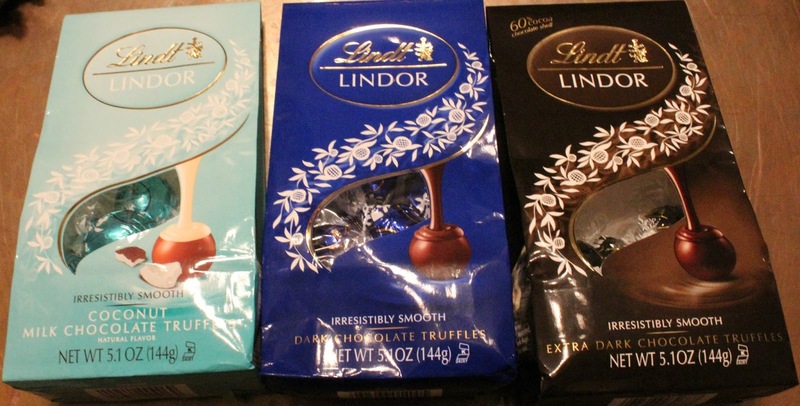 A nice thing about this gift exchange is that it isn't super pricey. I'm not sure how much the jars were but you can get the 16 oz. 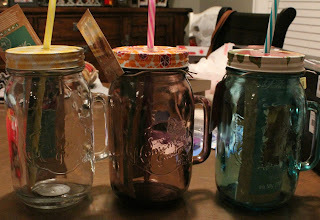 mason jar cups for $10 and we didn't spend more than $15 on the gifts that we put inside them. Instead of using regular mason jars we got the Pioneer Woman mason jar cups from Walmart so that the jar is also a functional gift. They had a great variety of lid patterns and jar colors. We gave each jar a theme and my theme was mani/pedi. We got a foot scrubber, a manicure set, a cocoa butter lip balm, and toe separators. I would have liked to add in a nail polish but they didn't have a good selection at the store we went to. We also included an ornament on the outside of each jar. It's hard to tell here but my ornament was a bird. The theme of my sister's jar was hair. We included a headband, hair ties, bobby pins, hair spray, and a lip balm. Along with an ornament that looks like a stocking. The theme of my mom's jar was winter accessories. She included boot socks, a beanie, gloves, and lip balm. Her ornament was a pair of boots. 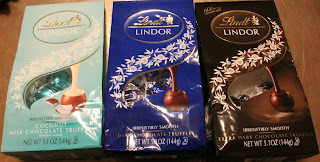 For the candy we added in some chocolate truffles. You can customize this to your friends favorite candies and it would also be more cost effective to buy the big bags of candy. We added a few candies in first and added the other goodies in and filled the top with more candy. I added ribbon around the top of the jar to make it a little bit cuter. We found little chalkboards and chalk markers in with our crafting stuff so we added those onto the ribbon and wrote Christmas-y things on them. Thank you so much! And merry Christmas!